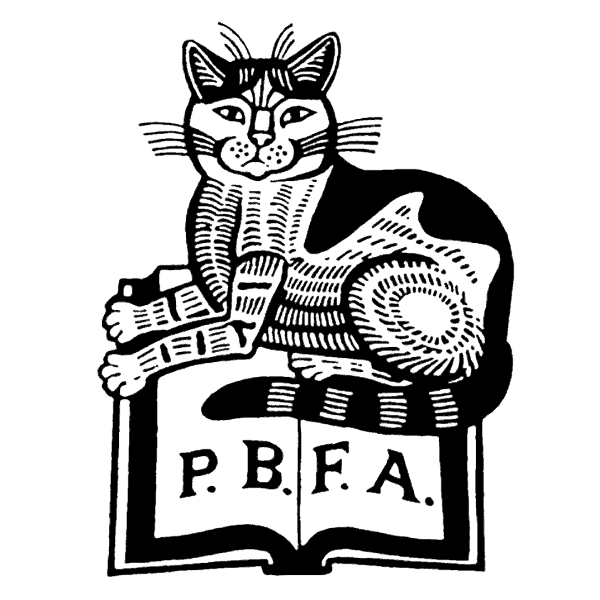 For queries about the Edinburgh Book Fair, you can also contact the ABA on 020 7421 4679 or the PBFA on 01307 860293. 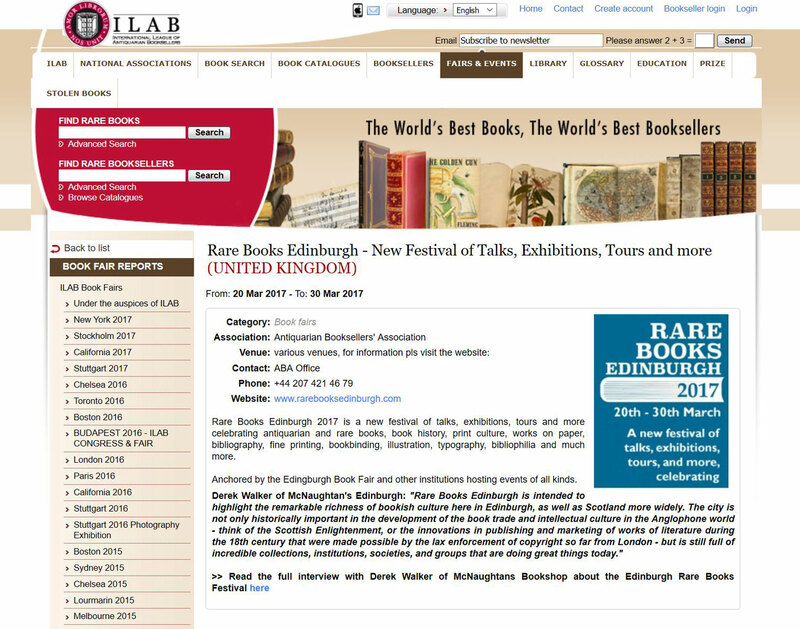 The Edinburgh Evening News has run a story about the 2017 Edinburgh Book Fair and Rare Books Edinburgh, highlighting our special guest Ian Rankin, who will be opening the fair, along with some of the more spectacular items that will be on display. 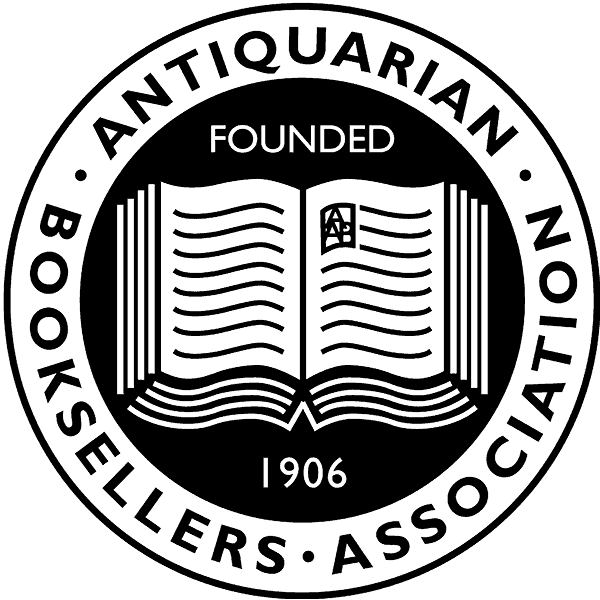 Rare Books Edinburgh has been featured on the website of the International League of Antiquarian Booksellers, including an interview with Derek Walker about the festival and the delights of Edinburgh. 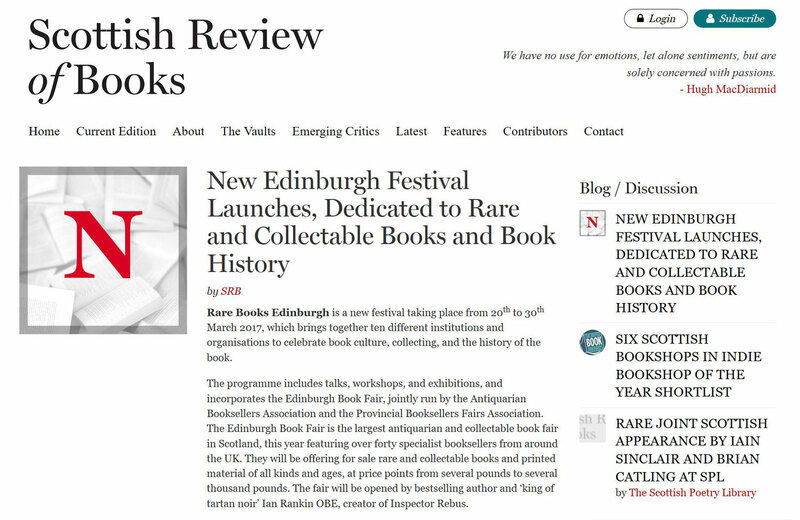 The Scottish Review of Books has featured Rare Books Edinburgh in a post on their website.